Small business bankruptcy guide is an overview of the types of restructuring and liquidation options available for entrepreneurs. Bankruptcy is something no business wants to think about or need, but it is a financial tool that most small companies can use to restructure or leave the industry. It’s no secret that many small businesses fail in their first few years. The Small Business Administration reports that half of all companies survive five years or more and about one-third of them survive over ten years. Many reasons exist for this including lack of a viable service, poor money management, economic factors, and much more. When a business is struggling financially, it is a good idea to explore the options bankruptcy can offer. Small business bankruptcy guide: Which Chapter Is Right for You? The U.S. Constitution provides individuals the right to file bankruptcy to gain a fresh financial start when the burden of the debt is insurmountable. Considering this, you should never take filing lightly. It does create long-term limitations for individuals and companies. The first step is to know which chapter applies to your situation. 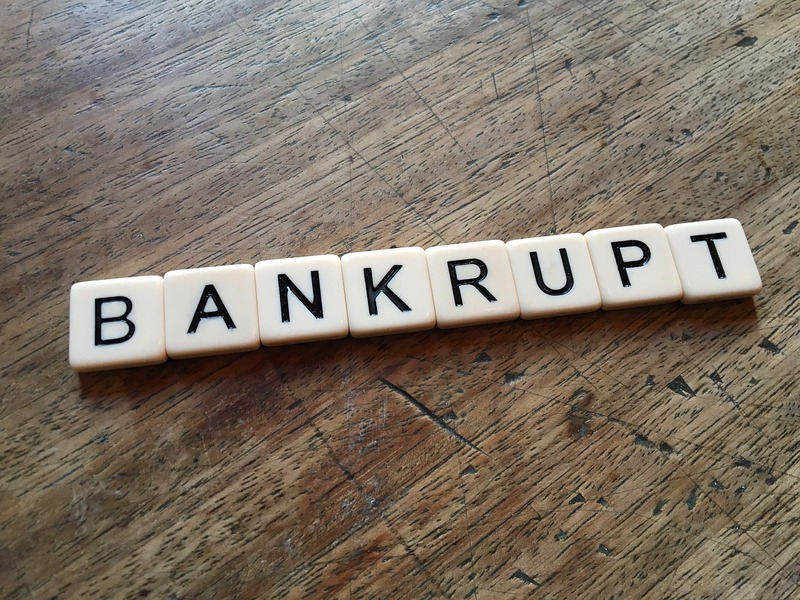 Bankruptcy “chapters” refer to the section of the U.S. Bankruptcy Code the law falls under. Here’s a rundown of the most commonly used chapters by small businesses. This form of bankruptcy is best for those businesses closing their doors. It liquidates assets from your business and personal holdings to repay debt holders before discharging the remaining debt owed. If you have significant equity in your home or business that you do not want to lose, this method may not be the best option for you. Businesses can work for sole proprietors, partnership, LLCs, and corporations. In all cases, it works to liquidate the assets of the company. Most small business tax debts are not covered in Chapter 7. If your business has few liquid assets, you may still be able to keep it open if any remaining creditors, such as mortgage holders agree to continue to lend to you. Debtors can restructure finances using this form of bankruptcy if approved by the U.S. Bankruptcy Court. This includes reducing or modifying payments and financial obligations for the company. It can help business owners to balance income and expenses with a goal of regaining some ability to be profitable again and, as a result, to continue operations. Some or all of the company’s assets can be sold as a part of downsizing the company as necessary. Special provisions are available for small businesses filing Chapter 11, such as reducing the amount of time it takes the process to move through and reducing legal expenses. To be labeled as a small business debtor, the person or company must be engaged in commercial activities and owe no more than $2,490,925 in claims (not including obligations to family). It is an option for anyone who operates a small business that is not incorporated. There are eligibility requirements based on income. As of 2016, those who owe more than $383,175 in unsecured debt or $1,149,525 in secured debt cannot use this form of bankruptcy. It can help reduce and restructure payments to debt holders to make it easier to repay debts owed. It may not discharge tax debt for the business, but it may help reorganize it. The process spans three to five years during which time the business owner pays the U.S. Bankruptcy Court through a trustee, who then pays the debt holders. How do I file for business bankruptcy, you ask? In nearly all cases, working with a bankruptcy attorney is the only desirable option. No law exists requiring this, but it can be one of the best decisions you can make to ensure your assets remain as protected as possible and your financial obligations are as low as possible. Filing for bankruptcy requires numerous forms. You can find them at USCourts.gov. However, each has definite rules for use, timelines necessary for filing, and procedural steps to take. You will need to gather profit and loss statements, asset records, and in the cases of Chapter 7 or Chapter 13, personal financial records. And, keep in mind that bankruptcy laws can differ from one state to the next, which can further complicate the process of filing for bankruptcy. Disclaimer: Small business bankruptcy guide is for information purpose only. Please consult your legal and accounting professionals on what to do you in your situation.